Therapists everywhere tell us the Rifton Activity Chair is perfect for feeding, speech therapy, active learning, and for clients with sensory processing challenges. Not only that, but parents see what it can do for their child in the classroom and realise how much they need it at home, too. Rifton’s clinical positioning chair has revolutionised active seating. Versatile, adaptable, durable – this is a chair therapists designed. A wide range of optional accessories are available to create an adaptive chair which provides active seating for your client – whether they’re in early intervention, school, home, rehab or a day centre! And from the client with autism to one with more involved physical challenges such as cerebral palsy. 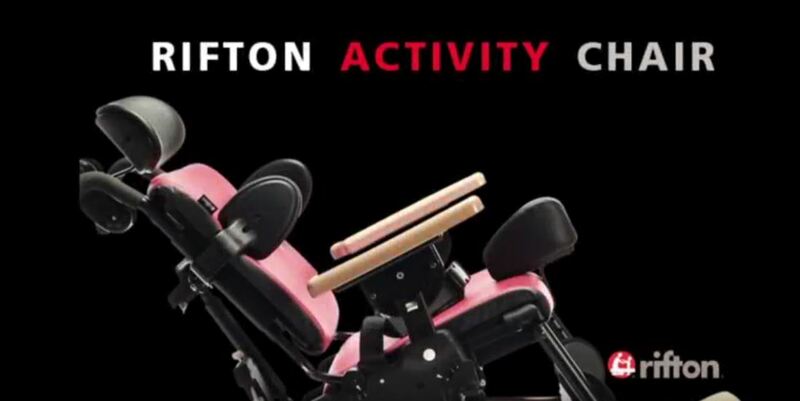 CLICK HERE to watch the instructional video for the Activity Chair! Tool free adjustments, whilst the user is in the Rifton Activity Chair. 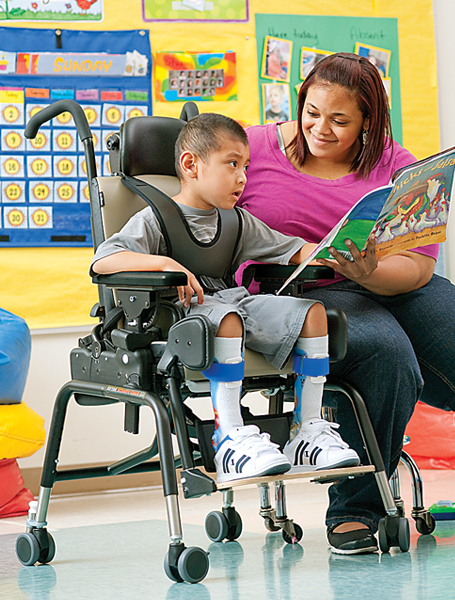 With all adjustments easy to make – and no tools required – the Rifton Activity chair is an ideal choice for the busy special needs classroom or at home. The lateral supports are fully adjustable in height, width and angle – all with one button, which, by the way, can’t ever fall off and get lost. All it takes is a pen to remove seatbelt and harness clips, making these attachments easy to use and tool-free, yet child-proof. 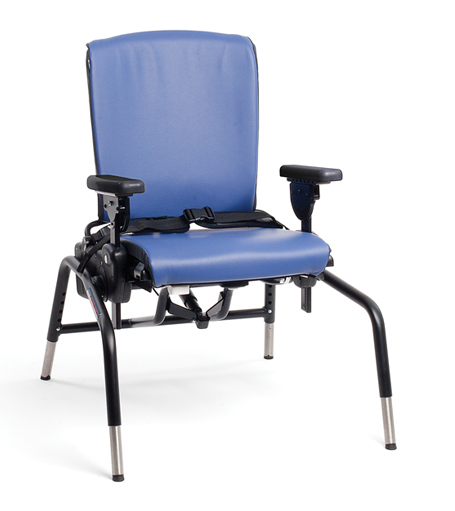 Unlike a reclining wheelchair, the Rifton Activity chair can be easily adjusted while a user is in the chair. This saves time and makes adjustments much simpler to gauge. Seat depth can be safely and easily adjusted while a child is in the chair, by pulling the handle beneath the seat. 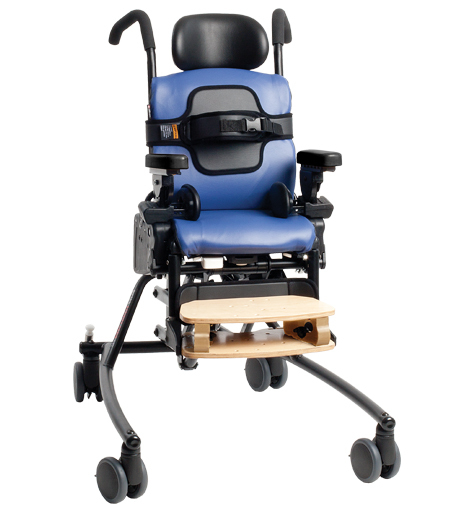 All Rifton Activity Chairs have tilt-in-space, which encourages sit-to-stand and resting positions. Tilt-in-space can be activated tool-free while your user is in the chair. In addition to tilt-in-space, every Rifton Activity Chair’s backrest angle adjusts 5° forward and 20° back. Armrests provide lateral boundaries as well as upper extremity weight-bearing assistance to aid trunk control. Rifton’s armrests can be raised or lowered individually to accommodate users who need extra trunk stabilisation and can be set at angles ranging from horizontal to 60° up or down. The tray accessory attaches to the armrests. Forearm prompts facilitate head and trunk control while sitting and secure distal placement of upper extremities. This enables the use of the pelvic girdle and trunk core muscles for improved postural stabilisation and strengthening. Rifton’s forearm prompts are fully adjustable for optimum positioning. Rifton have developed the mini kit (shown here in situ), which is a group of accessories, that when attached to the Small Rifton Activity Chair, can safely support children as short as 71cm tall (about 6 months old) . This means you can start positioning children correctly at an earlier age and can then continue to use the small chair for a number of years before it’s outgrown! And because Rifton Chairs are not customised for an individual child, they can be passed onto the next student or child when they have outgrown them. This keeps every student perfectly seated and keeps the costs down too. For more information on the mini kit shown here, look at our accessories. Necessary for good joint and body alignment of clients with dysfunctional muscle control. The abductor separates knees and helps to control spastic muscles that cause legs to scissor. The abductor can be adjusted backward and forward in three positions to improve postural control. Available in two sizes. Necessary for clients with limited muscle control that results in abduction of lower extremities. Adductors provide a comfortable lateral boundary for client’s knees and maintain proper body and joint alignment by supporting each leg individually. Long or short height-adjustable legs, either stationary or with castors for the Standard base: Adjustable in 1" increments, these legs allow you to position your client at optimum height. The grippy tips of the stationary legs are designed to keep your client from sliding and moving across the floor, even with dynamic rocking. The legs with castors are an added feature, making your standard base chair easy to move when going from one classroom to another. 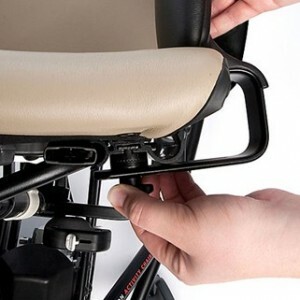 The backrest filler pad fills the space between the bottom edge of the backrest and the top edge of the seat when backrest is in one of the top three positions. Can be used to provide additional lower back support. Necessary for clients needing more support for trunk control while sitting. When adjusted to fit snugly and comfortably, the butterfly harness provides maximum anterior support giving security, safety and freedom of movement. 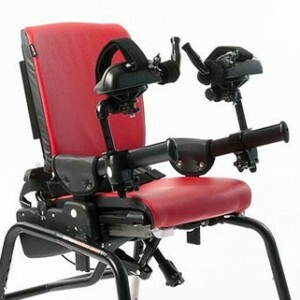 Headrests optimally position clients with poor head control Flat headrests adjust front to back and up and down. The footboard is used for placement of feet and some weight-bearing through legs and feet during functional sitting activities. Also required for attaching sandals and ankle straps to meet specific positioning needs. The footboard swings backward out of the way for sit-to-stand transfers, or clients can use the footboard as a step for transfers. *NB: Recommended for chairs with long legs. **NB: Footboard is included on Small Hi-Lo (R830) Medium Hi-Lo (R850) and Large Hi-Lo (R870) bases. The footboard lift provides additional elevation, enabling shorter legs to reach the footboard. Available for all three chair sizes. Medium and large add 4"
The handhold attaches to tray for arm and hand positioning to control spasticity. Handholds are especially for clients with spastic muscle tone and are helpful for proper joint alignment. *NB: Requires Tray (R667/R668/R669) to attach Handhold. 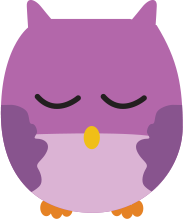 Hi/lo base for easy transfers, optimal positioning, and instant access to any activity. 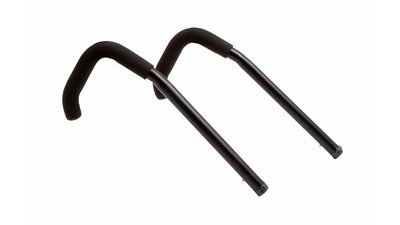 Hip guides provide a snug, comfortable fit giving the client security and safety. Placed at the sides of the pelvis to align a client’s torso, they provide maximum support of trunk control while sitting. Hip guides can also be important for proper alignment of the spine. They independently adjust vertically and horizontally. Available in 2 sizes. *NB: Requires Arm Rests (R827/R868) to attach Hip Guides. Necessary for clients who need good upper body support, lateral supports are important for proper alignment of the spine. Laterals help position your client correctly and securely and are independently adjustable vertically and horizontally. 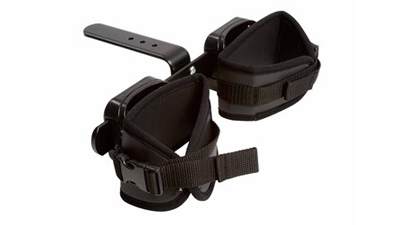 Lateral supports can be purchased with or without a chest strap attached. Comes in 2 sizes. Helpful for clients with limited muscle control, leg prompts maintain body and joint alignment when sitting, by supporting each leg individually with a strap that passes around the front. Leg prompts move both in and out and laterally for maximum adjustment. Available in 3 sizes. The lumbar and seat support kit can be custom cut for extra postural support and proper joint and spine alignment for a specific client. 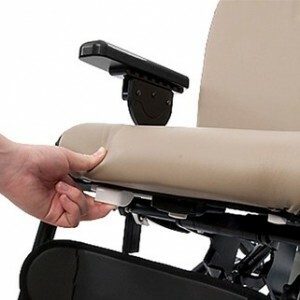 Insert the lumbar support behind the backrest pad and place the seat support under the seat pad, toward the front, to prevent client from sliding forward. Made from durable, dense foam. Attaches with adhesive-backed hook and loop strips. The pelvic harness is an alternative to a typical seatbelt and firmly positions a client’s pelvis by securing hips and upper thighs without pressure on the abdomen. The pelvic harness provides a stable, comfortable base for postural control and encourages proper alignment of the spine. It also controls extreme extensor spasticity that can result in sacral sitting. Comes in 3 sizes. 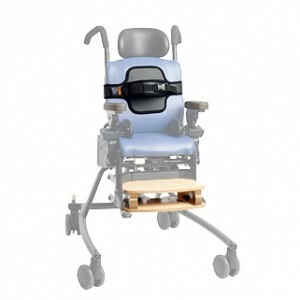 Recommended for all chairs with wheels, push handles make it easy for the caregiver to manoeuvre and transport a client in the Activity Chair from one place to another. Sandals require the footboard and are necessary for clients who are unable to control leg movement. They adjust to correctly position client's feet. Sandals also align the client's body for optimum positioning, enhancing good posture and proper joint alignment. Available in 3 sizes. *NB: Sandals cannot be used simultaneously with ankle straps. Comfortable seat and backrest pads are essential for providing cushioned support and preventing decubiti. Rifton’s backrest and seat pads are made of polyurethane foam covered with a cleanable, healthcare-grade polyurethane-coated fabric. The seat pads can be turned front to back for longer wear. Pads are available in three colour choices. The slim cut butterfly harness is an alternative especially designed for larger female clients needing more support for trunk control whilst sitting. 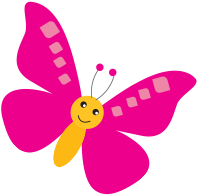 When adjusted to fit snugly and comfortably, the butterfly harness provides maximum anterior support giving security, safety and freedom of movement. Standard base for regular classroom use. 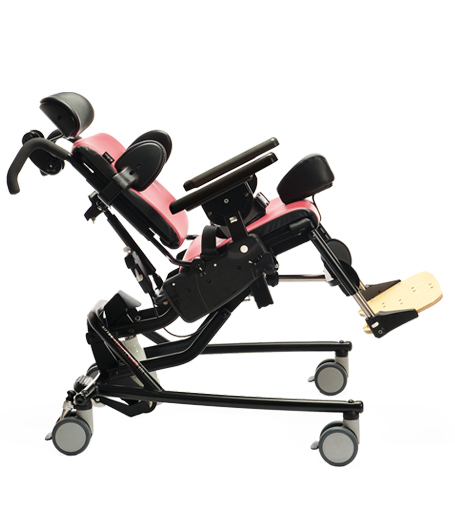 Spring Option The optional seat and backrest springs on the Rifton Activity Chair standard base (and the backrest spring in the hi/lo base) allow for self-generated motion. The spring column can be locked when not in use. A thigh belt gives additional support and security for the client’s thighs while helping to adduct their knees. Comes in 3 sizes. The tray attaches to armrests and provides a work, play and feeding surface with raised edges. It can be set at angles ranging from horizontal to 60° up or down, and can be raised or lowered to suit your client’s needs. Tray available in 3 sizes. *NB: Tray attaches to Armrests (R827/R868) ONLY, not to Forearm Prompts (R809/R869/R79). Wedges require sandals and are especially for clients with specific ankle positioning needs or uneven leg lengths. 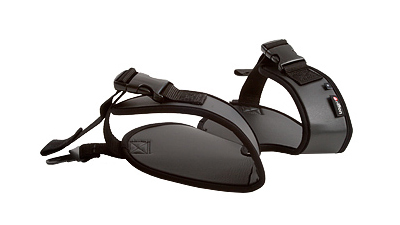 Position them under the sandals to enhance good posture and align body for optimum positioning. Use them to raise heels or toes, or combine two wedges under one sandal to add flat lift. Available in 3 sizes. *NB: Requires Sandals (R944/R954/R964) to attach. Winged headrests adjust front to back and up and down. 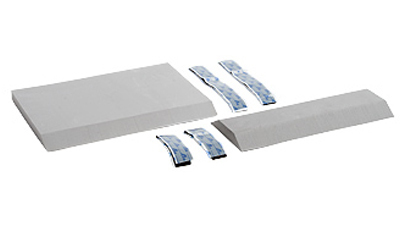 The side wing pads adjust from almost flat to 90°. Some Whitmyer headrests can now be installed on all Rifton Activity Chairs. This adapter plate gives you the option to use a Whitmyer M2100 headrest mounting bracket and the Whitmyer Onyx headrest support system. 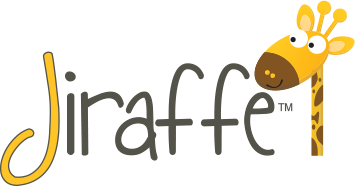 *NB: Jiraffe supplies only the adapter plate and a tool. 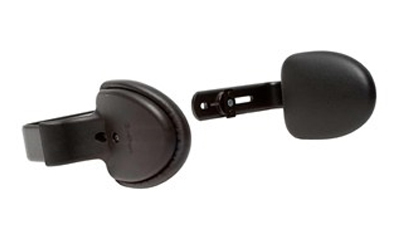 Whitmyer mounting brackets and headrests must be purchased from a Whitmyer supplier. 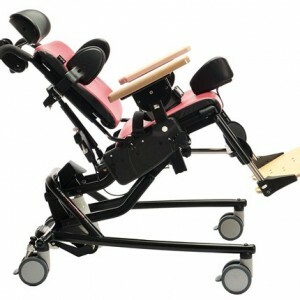 **NB: Suitable for all sizes of Activity Chair. Long or short height-adjustable legs, either stationary or with castors for the Standard base: Adjustable in 1″ increments, these legs allow you to position your client at optimum height. The grippy tips of the stationary legs are designed to keep your client from sliding and moving across the floor, even with dynamic rocking. The legs with castors are an added feature, making your standard base chair easy to move when going from one classroom to another. Sandals require the footboard and are necessary for clients who are unable to control leg movement. They adjust to correctly position client’s feet. Sandals also align the client’s body for optimum positioning, enhancing good posture and proper joint alignment. Available in 3 sizes.